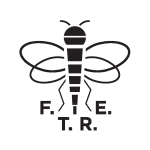 Watford fans still smarting from the last gasp defeat to Bradford City have something to take your mind off the Hornets Cup exit today, as the new episode of the ‘From the Rookery End’ podcast is released. And we have a special one for you. In the new edition features an exclusive interview with Watford manager Gianfranco Zola. We asked him to pick a five-a-side team from the best players he’s played with and against – it’s quite a list of football legends. You’ll hear his views on the squad that he inherited, plus we probed him on his footballing philosophy and we’re sure Watford supporters will like what he had to say. With his career as Watford boss in its infancy we did spend time talking about his career both as a player and a manger elsewhere – it was absolutely fascinating. 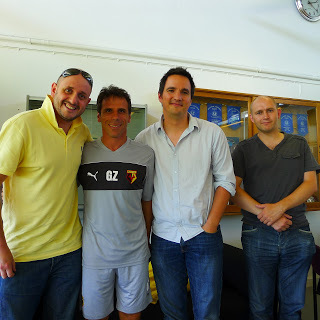 The podcast also features a song for Watford’s veteran defender Lloyd Doyley who is celebrating his testimonial year with the Hornets, and Jon, Jason and Mike are joined by fellow fan David Lewy to discuss what has been a busy opening to the season, with the EPPP, the Pozzo family takeover and the new ‘Zola’ style of football all up for debate. It has been a hectic summer to be a Watford fan, and now the season has started there continues to be plenty to discuss. It’s a hugely interesting time to be a supporter and there are a wide range of views as to the direction the club is travelling. We hope the podcast gives a balanced approach to discussing the things that are important to us as fans, and hope you enjoy what we had to say – whether they agree with it or not. After a summer of change however, one thing remains the same – our singing sounds awful!